I have decided that there is literally nothing better than the smell of baking bread. I don’t know what it is but it’s magical! It also immediately lifts my spirits and makes all seem right in the world for that space of time. I’m admittedly a little picky when it comes to my breads and rolls. It’s one of the reasons it took me so long to attempt making them homemade. I wondered how I could possibly make them so without failing. 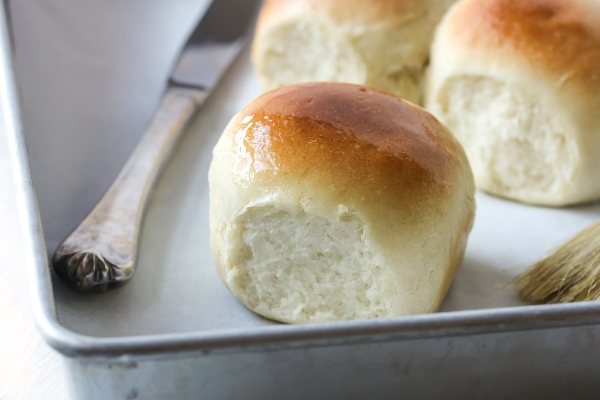 My memories of making homemade rolls in the kitchen of my grandma are of hours spent mixing, kneading, rising, kneading, shaping, rising, and then finally enjoying if they turned out just right. 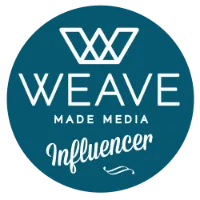 Eating those little bits of deliciousness always made the work worth it but, as a busy mom, I just don’t have that kind of time anymore. Eating those little bits of deliciousness always made the work worth it but, as a busy mom, I just don’t have that kind of time anymore. A few years ago, I found a recipe that I have continued to use on days when I feel a little extra domestic and want that amazing smell in my house. Don’t get me wrong-I still use frozen bread dough for days when I’m too tired or don’t have time. But my kids and I love making these together. The best part about this recipe is how quickly you can make them! I have had these rolls come out of the oven about an hour after I started on them. So they are literally one hour dinner rolls! I do have to add a disclaimer here. Depending on your oven and how warm your kitchen is when they spend their time rising, they could end up taking a little extra time. They definitely don’t take hours upon hours and that’s the benefit. These are great rolls to make when you have company over for the holidays, Thanksgiving, Sunday Dinners, etc. 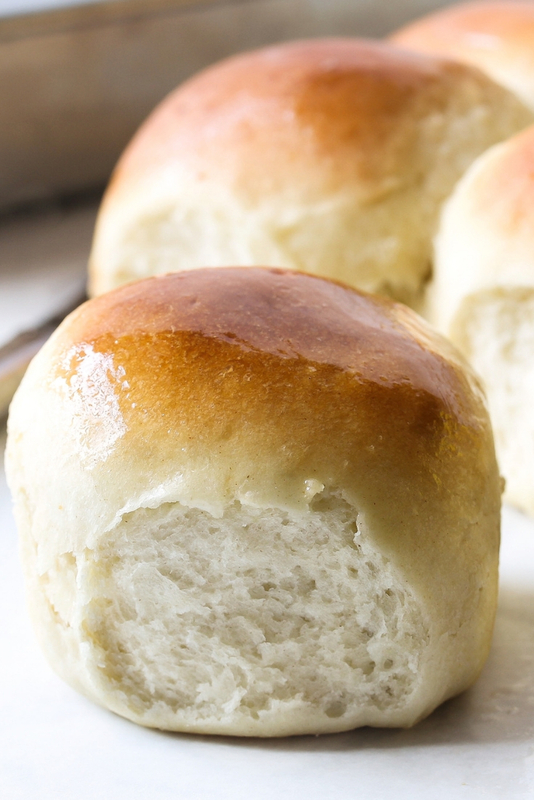 Instead of spending all your time on rolls, this recipe will help free up your time without giving up on the enjoyment of fresh baked rolls. 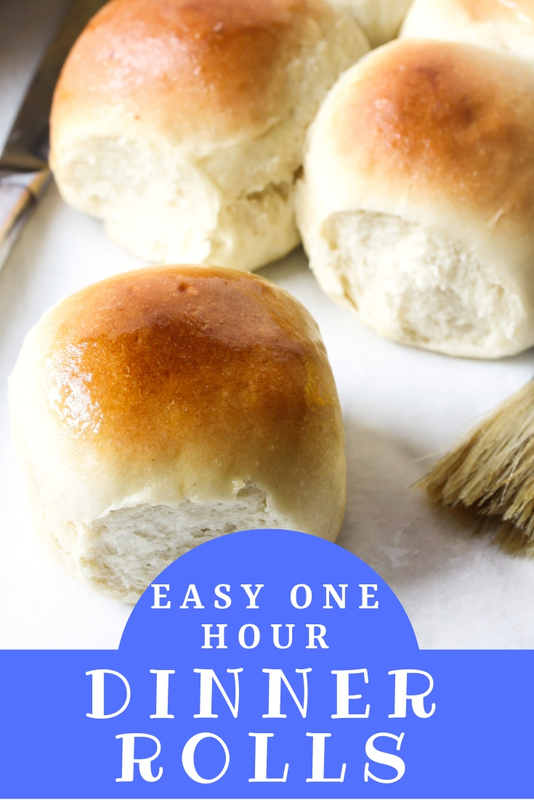 Delicious homemade rolls made in just an hour! Combine 3/4 cup flour, undissolved yeast, sugar and salt in a large bowl. Heat milk, water and butter until very warm (120 degrees to 130 degrees F). Add to flour mixture. Beat 2 minutes at medium speed of electric mixer, scraping bowl occasionally. Add 1/4 cup flour; beat 2 minutes at high speed. Stir in enough remaining flour to make soft dough. Knead on lightly floured surface until smooth and elastic, about 8 to 10 minutes. Cover; let rest 10 minutes.Divide dough into 12 equal pieces; shape into balls. Place in greased 8-inch round pan. Cover; let rise in warm, draft-free place until doubled in size, about 30 minutes. Bake in preheated 375 degrees F oven for 20 minutes or until done. Remove from pan; brush with additional melted butter, if desired. Serve warm.